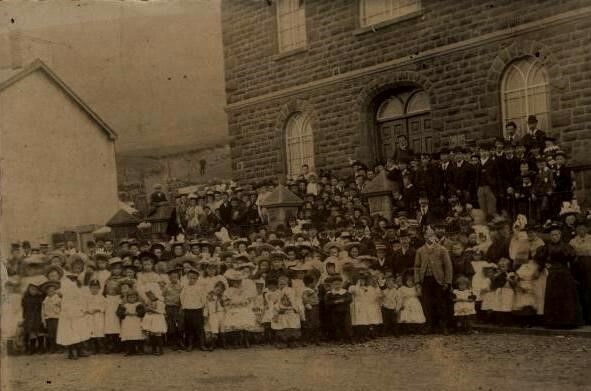 In the past Maerdy had many places of worship, with as many as 12 churches/chapels in the village. Now Seion is the only remaining place of worship left. Seion was first established as a church in 1876. At first the sixteen members met in a farmhouse at the northern end of Oxford Street. 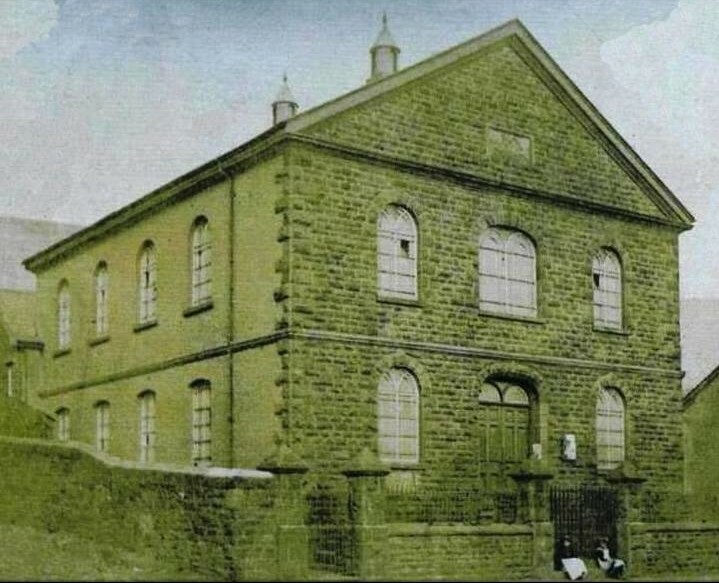 By 1879 the first building had been put up (on the ground at the back of the current plot), and the current chapel building was completed and opened in February 1883, at a cost of £1250. 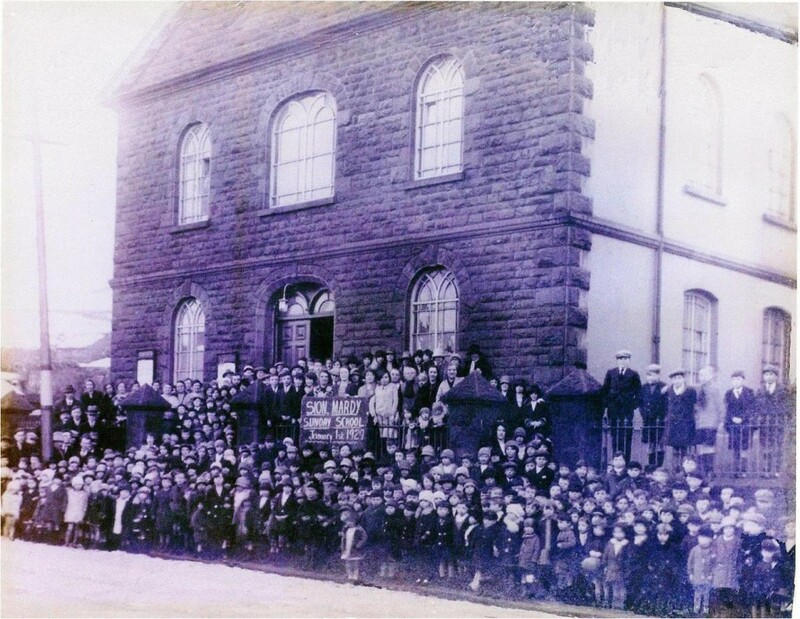 Along with many of the other chapels in Maerdy, Seion was greatly blessed in the 1904 Welsh Revival. During this time thousands of people became Christians throughout South Wales, and the culture of the nation was changed, at least for a time. A remarkable account of how Seion and Maerdy was affected is still available for us to see today. A Fleet Street journalist was sent across from London to cover the story. He attended 3 services taken by Evan Roberts in chapels in Maerdy (one of which was at Seion), and his account was published in the Daily Chronicle, a national newspaper, on December 13th 1904. * In particular he wrote about the change that had been brought about in people’s lives. Employers tell me that the quality of the work the miners are putting in has improved… Men go to their daily toil with a new spirit of gladness in their labour. The pit ponies… having been driven by oaths and curses since they first bore the yoke, are being retrained to do their work without the incentive of profanity (swearing). There is less drinking, less idleness, less gambling. Even as a journalist he came to the conclusion that this was a work of God. They called it the Spirit of God. Those who have not witnessed it may call it what they will; I am inclined to agree with those on the spot. By 1905 there were 393 people in membership at Seion. Seion remained a large church for a number of years; in 1930 there were 550 children enrolled in the Sunday School. In the decades that followed the numbers attending Seion dwindled dramatically, until by the early 1980’s the entire congregation would be sat on the back couple of pews. The 1980’s was a time of significant change for Seion, with the church seceding from the Welsh Baptist Union to become an independent church, and gradually changing from Welsh medium to English. From 1991 to 2005 Graham John (now Minister of Ebenezer Evangelical Church in Swansea) was Seion’s minister. In 2009-2010 the building was updated. The church alone paid for the work on the chapel auditorium, but a generous grant from the Community Facilities and Activities Programme of the Welsh Assembly helped with the cost of the refurbishment and extension of the rooms at the back. Our current pastor, Andrew Scully, was inducted in October 2013. Seion is now a small church, with the years that followed the 1904 Welsh Revival now not even within living memory. However, God doesn’t change. He still does transform people’s lives, and the members of Seion can explain how he has changed them. Please do come to visit us or contact us, and ask us about it. http://ukwells.org/locations/displaylocations/3075 . The journalists name is incorrect; it should read W T Stead. Another journalist’s impression (this time for the Western Mail) of the same services can be read on: http://ukwells.org/locations/displaylocations/3101 . It mentions the presence of ‘Gypsy’ Smith (a well known Evangelist of the day) at a service in Siloa Congregational Church, which was just across the road from Seion.